Plus: Where’s The “Real” Spring-Like Weather? San Miguel de Allende is both the geographic and cultural heart of Mexico. About equidistant from Puerto Vallarta on the Pacific Ocean and Veracruz on the Gulf of Mexico, San Miguel is also just a day’s drive on good roads from the Texas border. At a 6,200-foot (1,900-meter) altitude, it’s warm and dry during the day and cool at night. Founded by the Spanish nearly 500 years ago, San Miguel was an important town on the route to take Mexican silver from the mines of Guanajuato to the Spanish ships waiting in Veracruz harbor. Wealthy businessmen and ranchers built beautiful Spanish colonial homes on the cobblestone streets of the picturesque hillside town. When the cry for independence from Spain was raised, it was from this part of Mexico that the patriots answered. Father Miguel Hidalgo and Ignacio Allende led the first battles for Mexican independence and are revered as national heroes. Expats have discovered an irresistible combination in San Miguel. They’ve found small-town living in the timeless elegance of a well-preserved Spanish colonial city, nearly perfect weather, and a convenient location just a few hours by car to Mexico City, which is less than a day’s drive to either coast or the U.S. border. More than 15% of San Miguel’s inhabitants are now expats, bringing with them a demand for international cuisines, fine wines, and the arts. San Miguel de Allende is the gold standard by which elegant colonial city living is measured in the Americas. The largest number of Americans living outside the United States live in Mexico. The U.S. Embassy in Mexico City estimates that more than 1 million Americans live there either full- or part-time. And the U.S. Census Bureau forecasts a doubling of the nation’s 65-and-older population, which will grow from 43.1 million in 2012 to an expected 83.7 million by the year 2050. It is reasonable to expect that many of these retirees will also be attracted to Mexico by its warm climate, proximity, and lower cost of living. San Miguel de Allende already boasts an expat population of more than 15% due to its colonial charm, excellent weather, and international flavor. I expect this demand for premium city living to continue as the number of expat retirees grows. And there’s a strong demand for San Miguel from within Mexico, too. Mexico’s economy has continued to grow at a consistent pace, enabling many Mexicans to be able to afford a second home. Current President Enrique Peña Nieto has been successful at implementing many political and economic reforms, instilling confidence that more good times lay ahead. 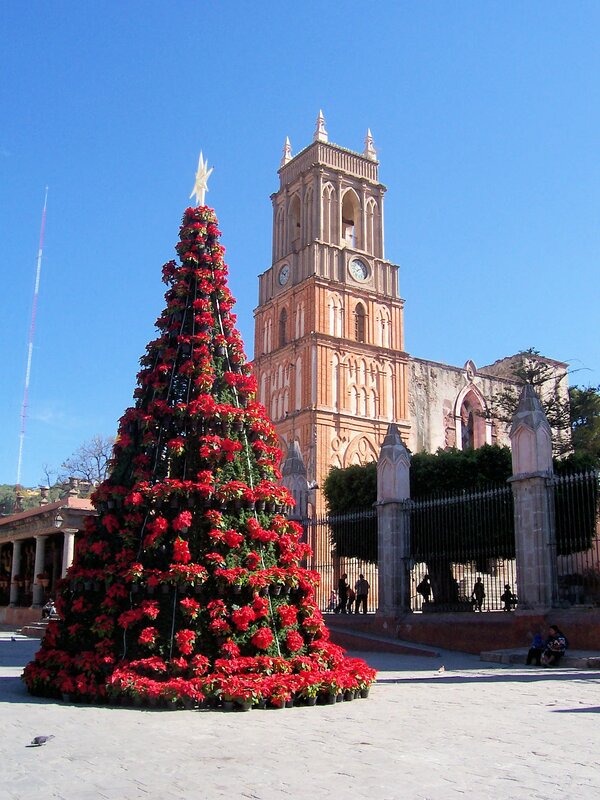 San Miguel is located in the “cradle of independence” in the state of Guanajuato, to which many Mexicans feel a strong cultural and historical tie. Also, many Mexicans of baby boomer age who have spent their careers living and working in the United States and Canada are returning to their native homeland for their retirement years. In the years leading up to the 2008 recession, real estate activity in San Miguel was frenetic and property values were on a tear. But prices quickly went stagnant with the subsequent disappearance of the North American buyer. Property values slipped, but didn’t crash. This is because the majority of properties are owned outright, without a mortgage, and there was no immediate pressure to sell at a reduced price. Today, the real estate market has stabilized and values are in an uptrend, with the influx of the Mexican buyers, increased purchasing by Canadians, and the return of the U.S. buyers thanks to the improved U.S. economy. The increased activity is especially notable in the under US$500,000 segment of the market. While, 20 to 30 years ago, 300-year-old homes in the Centro neighborhood were plentiful and cheap, today the secret is out and homes in Centro are priced in the millions. There still are some opportunities from time to time; however, when a property in an incredible location can be bought under market, remodeled, and resold for two to three times its original cost. The trick here is to align yourself with an experienced and knowledgeable real estate agent who knows the town and can help you find the deals. Joanie Barcal of Allende Properties has been in the real estate business in San Miguel for 18 years and has highlighted a couple of great opportunities on the market right now. Lifestyle buyers who purchase primarily for personal use and enjoyment have the option of choosing a beautifully appointed turn-key property or buying a fixer-upper and remodeling to their own taste. In addition to normal appreciation, the remodeler will also see a large jump in property value due to the modernization and upgrading of these historic properties. Joanie showed me a charming two-bedroom, two-and-a-half-bath home, right in the heart of the downtown Centro neighborhood, for US$495,000, due to its location. However, with a projected US$60,000 to US$75,000 remodel adding a master suite and opening up the floor plan, this property could list for US$1 million. Have a look at the property listing here. Excellent property management is available, so both snowbirds and income investors can rent their properties for either short or long-term and enjoy steady rental income. Vacation rental properties in the high-demand Centro neighborhood can yield 6% to 8% annual return after expenses, possibly more if the property is divided into separate rental units. A bright, colorful five-bedroom, three-bath house in the popular San Antonio neighborhood, a short walk from Centro, is divided into three separate apartments and is listed at US$340,000. At just US$100 per night and 50% occupancy, this property would yield an annual ROI of more than 8%. You can see property photos here. Also in San Antonio, this property is just a short walk to Centro and is past a great bakery, shops, restaurants, and a cafe. It’s a walkable, friendly neighborhood. The home has two bedrooms, two-and-a-half baths, 112 m2 (1,200 square feet) of living space, and a private, rooftop patio. The asking price is US$199,000. Condos are rare in the historic district of San Miguel, so this property got my attention. This one-bedroom, one-bath condo comes fully furnished and is turn-key and ready for immediate occupancy and easy rental. It offers a great kitchen with two walls of wood framed windows, a cozy bedroom, and a great salon with gas fireplace. With great views, it’s only three blocks from the main square. The asking price is US$174,000. Most real estate transactions in San Miguel are cash purchases. While there is some financing available from Mexican banks, the terms are much different from what North Americans are accustomed to, and it actually may make more sense to refinance a property in the United States and use the cash to purchase in Mexico. Title insurance, however, is available from U.S. companies First American Title and Stewart Title and is relatively inexpensive for the peace of mind it offers. There is a lot of misinformation out there regarding whether foreigners can actually own property in Mexico. The simple answer is yes, but there are different ways to hold title depending upon the property location, type of use, and whether financing is involved. While foreigners may hold fee-simple title in their own name in San Miguel, fideicomisos (trusts) are also commonly used when there is financing involved or for purchasing using your IRA or 401k. Foreigners may also establish a Mexican corporation, which can own property. However, this is only to be used for business and commercial applications and is not allowed for holding title to a personal residence. North Americans should remember that Mexico is a foreign country with a unique set of laws and procedures different from those you may be accustomed to. It is essential to use qualified professionals, such as a knowledgeable and trustworthy real estate broker and attorney to ensure that the transaction is properly handled and that you comply with Mexican law. To learn more about real estate in San Miguel de Allende and the most attractive lifestyle and investment opportunities available today, contact Joanie Barcal at Allende Properties, Cuna de Allende 15, Centro, San Miguel de Allende, Guanajuato, Mexico. Tel: 52-415-154-5000. Email: info@allendeproperties.com. Over the past 13 years, I’ve gotten to know Jim Hardesty through his work on a number of projects in Latin America. He is the owner of Tropic Choice Properties and Investments, Ltd., a consulting firm specializing in assisting expats identify properties and investments in Mexico and Belize. Jim has founded and managed international real estate funds in Latin America for more than 15 years and spent 6 years working for a developer in Belize. He holds a bachelor’s degree from the University of California, Santa Barbara in environmental studies with an emphasis on alternative energy. Prior to his international real estate career, Jim founded Exotic Progression, a natural food manufacturing and distribution company that provided juices, salsas, and other natural foods throughout the Southwest United States. Jim is a commercial pilot and fluent in both English and Spanish. He and his family make their home in San Miguel de Allende, Mexico. Maybe if you are from the northern United States this is true. I don’t consider lows around 40 degrees and highs around 65 to be spring-like. To me, springtime is lows around 60 and highs around 75. Is there any place like that in Ecuador? Yes, springtime in Mississippi is different from springtime in Vermont, so “spring-like” is not a good descriptive term. It’s been used to describe both Medellin, Colombia, and Cuenca, Ecuador, even though Medellín is far warmer than Cuenca. To find year-round “spring-like” weather with highs around 75˚F (24˚C), you’ll need to be near the equator and somewhere around 1,900 meters above sea level (that’s just over 6,000 feet). In Ecuador, the city of Loja, at 2,000 meters, comes close with an average high temperature of about 73˚F. Vilcabamba (1,500 meters) is a bit warmer. Your perfect 75˚F could be found somewhere south of Loja, before you get to Malacatos. It’s one of the world’s most beautiful valleys, yet still convenient to Loja. Temperature will change 1˚C with each 150 meters of change in altitude, or 1˚F for each 275 feet—an important equation when selecting a homesite in the Ecuador. I am investigating retiring to Granada, Nicaragua. Do you know any of the members of the Jewish community there? What would be the best area for me to visit? Do you know of a reliable lawyer I might be able to talk to? Nicaragua is not exactly a bastion of Jewish life, with only about 50 Jews in the country. There is no synagogue, although there is a congregation in Granada called La Congregación Israelita de Nicaragua. There’s a Jewish cemetery in Managua, and one in Granada that’s no longer used. There’s one Sefer Torah (a hand-written version of the Torah used for ceremonial readings) in Nicaragua that resides in a private home. You can make contact here. For legal services, we recommend Federico Gurdián of García & Bodan in Managua. Contact him at federico.gurdian@garciabodan.com. I’ve been following your writings for many years. My wife and I are both retired now, and, though we’ve done a great deal of traveling, we are now considering taking trips of three months and more to each country or area. From the research I’ve done, it can be difficult to stay in one country for that long. I was shocked the other day to find we could only be in Europe for 90 days out of 180 days. Specifically I am wondering about Thailand. How do people stay there for three months or longer without getting something like a retirement visa? Also, is there a source for worldwide visa info? I didn’t know that this would be such a big deal for the plans we have. Many countries give you a stay of 90 days upon entry, and extensions are usually possible, up to an overall annual limit. In Thailand, you’ll usually be granted a 30 day stay on arrival, and no advance visa is required for citizens of the United States, UK, or Canada. It’s legal to spend up to 90 days every six months in Thailand, but you need to leave the country and return to extend your stay for each extension of 30 more days. The common visa extension services (or visa-run services) are illegal. A good one-stop-shop for entry requirements is the World Travel Guide. You can see their Thailand info here. Have a question? You can write to Lee (or Jim) here.